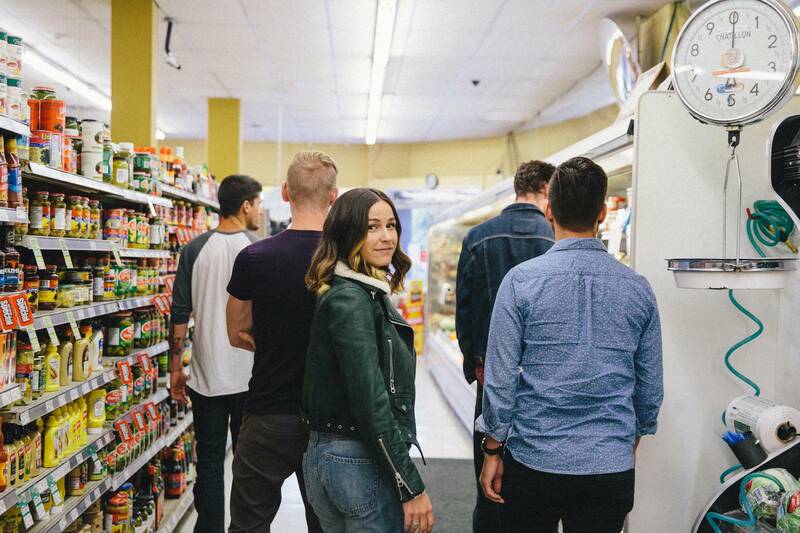 Lovecoast on the prowl for good eats. Berkley Vopnfjord photo. Where the rhubarb meets the road—Lovecoast vocalist Danielle Sweeney answers our questions about food and drink! 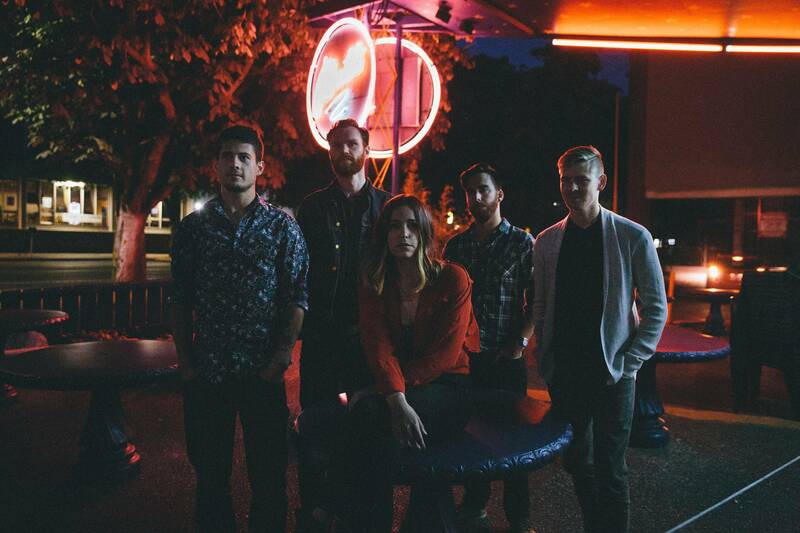 Indie-soul pop group Lovecoast will release their debut full-length album The Trip on April 27. The Victoria-based group has already released a video for the single “Motion” (catchy as heck, btw!) and a lyric video for last year’s single “Lonely.” To support the album, Lovecoast has been touring Western Canada (see below for remaining tour dates). They play the Fox Cabaret in Vancouver April 20. Lovecoast vocalist Danielle Sweeney was kind enough to go on the record about what the band likes (and doesn’t) to ingest while on the road. Q: Do you or any band members have any special food needs, allergies or eating disorders? A: Phil (Hamelin) can’t have Subway…but that’s for all our sakes, to be honest. Other than that no, we’re pretty good to go with any grub. Q: What/where was the last great meal you had? A: While in Red Deer a couple weeks back we played at Bo’s Bar & Grill and I had a blood orange chicken salad that was unbelievable. “Bar & Grill” is a fierce understatement for that place, they have a great menu and incredible hospitality! Q: Are you, or someone else in the band, what you might call a “foodie”? If so, in what way is s/he a foodie? A: I would honestly say that you could give us all a very mild branding of “foodie”. Good craft beer seems to be the true calling for the boys though, so give us a local micro-brewery and we’re happy as can be. I’m also a big coffee lover, so the most recommended local café at our show is a must for the morning. Q: What is the one most important thing that you’ve learned about eating while touring? A: EAT HEALTHY…and Tim Horton’s is the devil (also can I reiterate that Phil CANNOT have Subway before a long drive). As a singer, health is a must for me to even be able to perform, so if my health goes it all goes. We hit up grocery stores for fresh produce and snacks, and do our best to stay away from fast food (but nobody is perfect right? Late night post-show Wendy’s obviously happens from time to time). Lovecoast by night. Berkley Vopnfjord photo. Q: What is the meal-of-last-resort when on the road? A: Tim Hortons… always absolutely last stop for me. McDonald’s being a close second. It’s really easy to want to go as cheap as possible, but four boys… one van… many, many hours to drive… you do the math. Q: How do you find places to eat—crowd-sourced via social media, restaurant reviews, Yelp? A: Usually, recommendations from locals, especially if we have a good crowd. Also, of course, the typical Google search, and we find good spots via Instagram surprisingly often! Q: Any shout-outs to venues that are especially memorable due to extraordinary food that comes with playing a show? A: Along with Bo’s Bar & Grill in Red Deer who I mentioned above, Guilt & Co in Vancouver has to be one of my favourites to play. I’m all about tapas, cheese, bread, meat, totally my jam. It’s also just a wonderful musical venue, really fostering a community of musicianship in Vancouver. We’re big, big fans. Q: Locally-made craft IPA vs. a PBR? A: Is that even a question?! Local-made IPA to be exact. We’ve been sipping on Victoria-based brewery Category 12’s Subversion Imperial IPA all tour long. They were kind enough to send us on the road with a flat. Highly recommend! Lovecoast plays an early show (ends at 10:30 p.m.) at the Fox Cabaret with Towers and Trees this Friday, April 20. Tickets are $12 at eventbrite.ca. 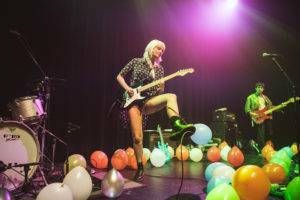 This entry was posted in dining and drinking, Homepage Features and tagged Vancouver concert previews, Vancouver concerts, Vancouver shows, Victoria bands. Bookmark the permalink.